Recently, Google Maps has made many changes to its UI — with the speed trap cameras and tracking speed limits while driving are the two most prominent features. Now it has come up with another addition that was anticipated by many users as well. 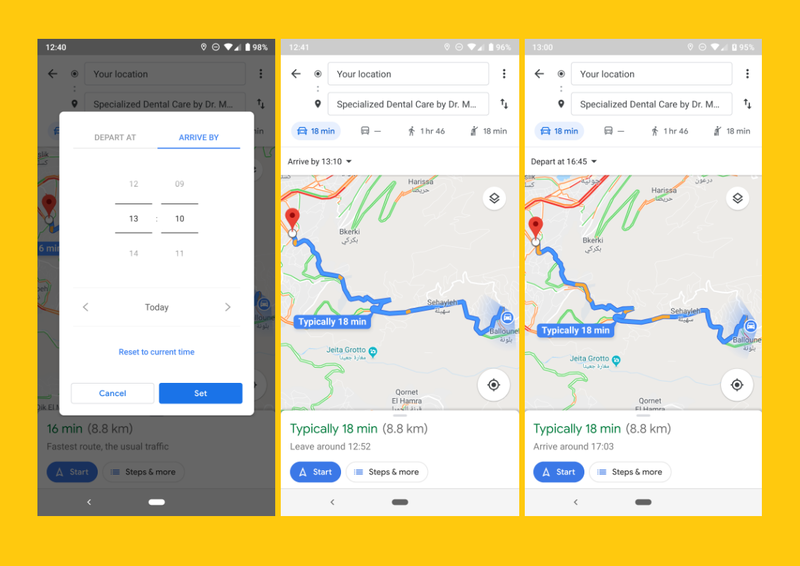 Yes, from now onwards, you can finally get an estimate of how long your route will take by setting either your departure or arrival time in the route options menu. Web users were allowed to set these times prior to these updates but on Mobile – the feature was limited to public transport only. The latest version 10.8.0 of Google Maps finally ads the option, amidst the long list of user requests. You can pick any date and time to get an estimate of how long your journey will take and the approximate time you will arrive (if you set the departure) or when you should leave (if you set the arrival). However, the timings can fluctuate drastically as it is impossible to monitor the traffic situation. Moreover, the feature lacks a reminder or notification setting to alert you when it’s time to get going. These options would make the feature better and more convenient for the user. For now, let’s enjoy the new update in beta on Google Play Store and on this site.